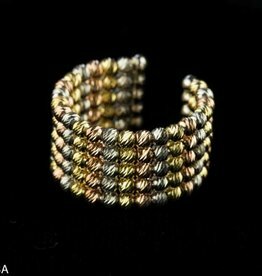 Last one available! 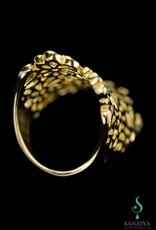 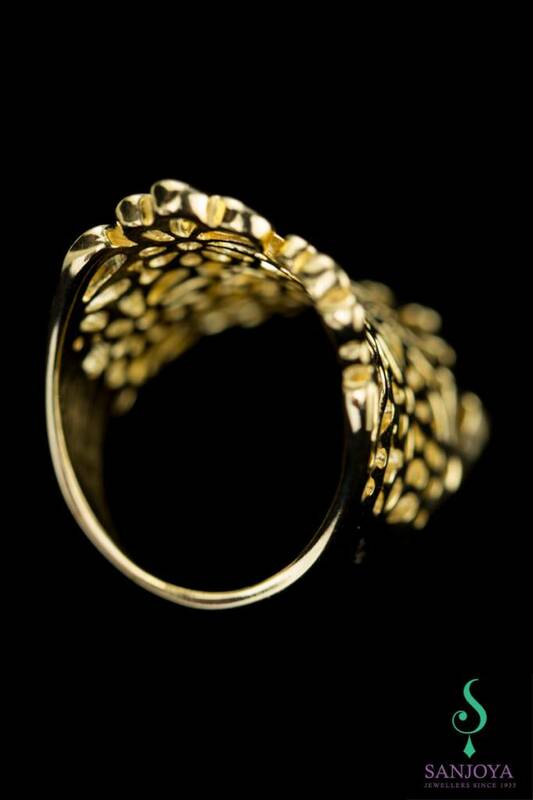 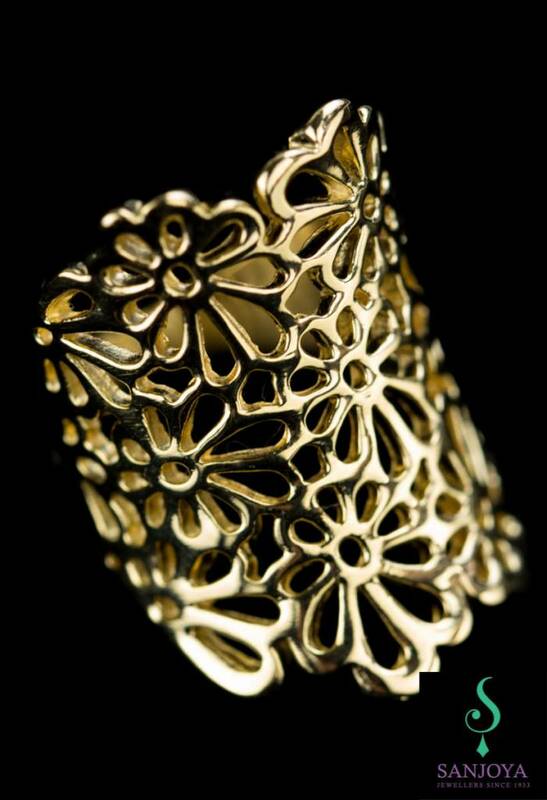 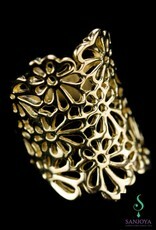 Beautifully crafted gold plated silver ring by Sanjoya. 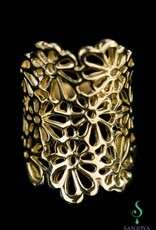 A floral design that makes this big ring decorative instead of "massive". 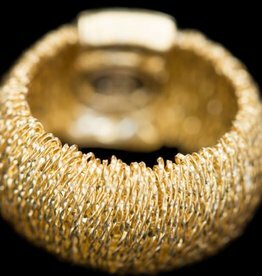 A small work of art to look at and a real eye catcher.